OPINION & ANALYSIS: We need to address the permissive political environment that allows such hateful extremism to be promulgated so openly. When lives are tragically cut short, it is generally easier to explain the “how” than the “why”. This dark reality is all the more felt when tragedy comes at the hands of murderous intent. Explaining how 50 people came to be killed, and almost as many badly injured, in Christchurch’s double massacre of Muslims at prayer is heartbreaking but relatively straightforward. As with so many mass murders in recent years, the use of an assault rifle, the ubiquitous AR15, oxymoronically referred to as “the civilian M-16”, explains how one cowardly killer could be so lethal. It was much the same in the Pulse nightclub in Orlando three years ago, when one gunman shot dead 49 people in a crowded space and, though the motive appears very different, the same sort of military instrument of death lies behind the 58 deaths in Las Vegas a year later. An AR15 was used to shoot dead 11 worshippers in Pittsburgh’s Tree of Life Synagogue last October and a similar weapon was used to kill six people in a Quebec City mosque in January 2017. 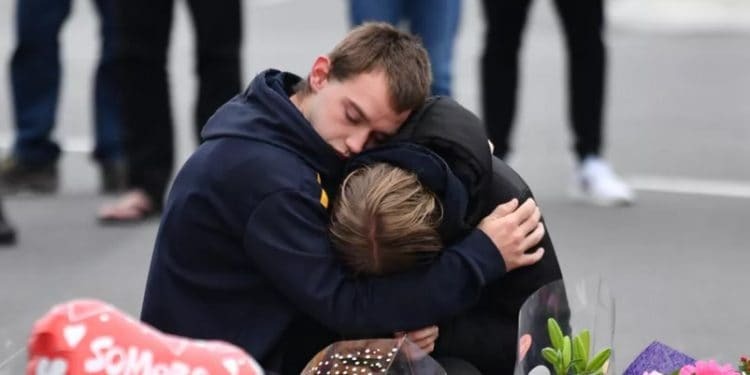 It is a credit to the peaceful nature of New Zealand society that, despite the open availability of weapons like the AR15, the last time there was a mass shooting was in 1997. Prime Minister Jacinda Ardern rightly identified reform of gun laws as one of the immediate outcomes required in response to this tragedy. But lax gun laws are arguably the only area in which blame can be laid in New Zealand. Ardern, together with Australian Prime Minister Scott Morrison, was also right to refer to this barbaric act of cold-blooded murder of people in prayer as right wing extremist terrorism driven by Islamophobic hatred. State and federal police in Australia have long warned that, next to the immediate threat posed by Salafi jihadi terrorism, they are most concerned about the steady rise of right-wing extremism. There has been some comfort in the recognition that the most active right wing extremist groups, and there are many, are disorganised, poorly led, and attract but small crowds. On the face of it, then, right wing extremism in Australia is nowhere near as serious as the neo-Nazi movements of Europe or the various permutations of white supremacy and toxic nationalism that bedevil American politics. In America, it is conservatively estimated that there were 50 deaths due to terrorist attacks in 2018, almost all linked to right-wing extremism. In 2017, it is calculated that there were 950 attacks on Muslims and mosques in Germany alone. Many of last year’s attacks in America involved a common right wing extremist hatred of Islam, and a targeting of Muslims, joining a long-standing enmity towards Jews. Almost all recent terrorist attacks have been lone-actor attacks. They are notoriously difficult to predict. Whether inspired by Salafi jihadi Islamist extremism or right wing extremism, lone-actor attacks commonly feature individuals fixated on the deluded dream of going from “zero to hero”. One of the main reasons authorities struggle with identifying right wing extremist “nobodies” who post online, before they turn to violence, is that it’s difficult to pick up a clear signal in the noise of a national discourse increasingly dominated by exactly the same narrative elements of mistrust, anxiety, and a blaming of the other. In Australia, as in Europe and America, mainstream politicians and mainstream media commentators have increasingly toyed with extremist ideas in the pursuit of popularity. Many have openly brandished outrageous ideas that in previous years would have been unsayable in mainstream political discourse or commentary. Donald Trump can be deservedly singled out for making the unspeakable the new normal in mainstream right wing politics, but he is hardly alone in this. And sadly, for all of the relative civility and stability of Australian politics, we too have now come to normalise the toxic politics of fear. No-one put it better than The Project host Waleed Aly in saying that Friday’s terrorist attacks, although profoundly disturbing, did not come as a shocking surprise. Anyone who has been paying attention and who really cares about the well-being and security of Australian society has observed the steady growth of right wing extremist and right supremacist ideas in general, and Islamophobia particular. They have seen the numerous attacks on Muslims and Jews at prayer and worried about the day when the murderous violence that has plagued the northern hemisphere will visit the southern hemisphere. But more than that, they have worried about the singling-out of migrants, and in particular asylum seekers, African youth and Muslims as pawns to be played with in the cynical politics of fear. Scott Morrison is right to say these problems have been with us for many years. But he would do better to point out that our downward trajectory sharply accelerated after John Howard’s “dark victory” of 2001. The unwinnable election was won on the back of the arrival of asylum seekers on the MV Tampa in August followed by the September 11 attacks, and at the price of John Howard and the Liberal party embracing the white supremacist extremist politics of Pauline Hanson. Both major parties, it must be said, succumbed to the lure of giving focus groups and pollsters the tough language and inhumane policies the public appeared to demand and reward. We are now beginning to see the true price that we have paid with the demonising of those arriving by boat seeking asylum, or looking too dark-skinned, or appearing too religious. The result has been such a cacophony of hateful rhetoric that it has been hard for those tasked with spotting the emergence of violent extremism to separate it from all the background noise of extremism. There are, of course lessons to be learned. Authorities need to do better. We can begin with a national database of hate crimes, with standard definitions and robust data collection. Clearly, we need to pay attention to hateful extremism if we are to prevent violent extremism. But ultimately, we need to address the permissive political environment that allows such hateful extremism to be promulgated so openly. The onus is on commentators and political leaders alike. They cannot change the past, but they will determine the future.